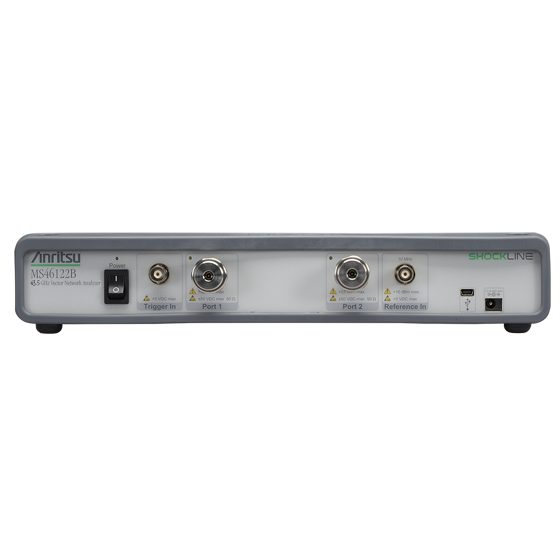 The ShockLine™ MS46122B series consists of three PC-controlled, compact vector network analyzers (VNAs) with frequency ranges from 1 MHz to 8/20/43.5 GHz. The series benefits from patented shockline VNA-on-chip technology that simplifies the internal VNA architecture at high frequencies, reduces instrument cost, and enhances accuracy and measurement repeatability. All the members of the ShockLine MS46122B series are low-cost, full-reversing, 2-port VNAs aimed at RF and microwave applications within manufacturing, engineering, and education organizations. All three VNAs have 130 microseconds per point sweep speed and better than 100 dB dynamic range, making them suitable for a variety of device test applications including measuring passive 5G mmWave components. These VNAs are packaged in a very compact and portable 1U chassis, are externally controlled via USB from a user-supplied PC, and powered using an external power supply brick. The ShockLine MS46122B VNA series are controlled using the same graphical user interface (GUI) and driver software as the rest of the ShockLine family of VNAs. The series does not have any on-board memory, which simplifies their use in secure applications. 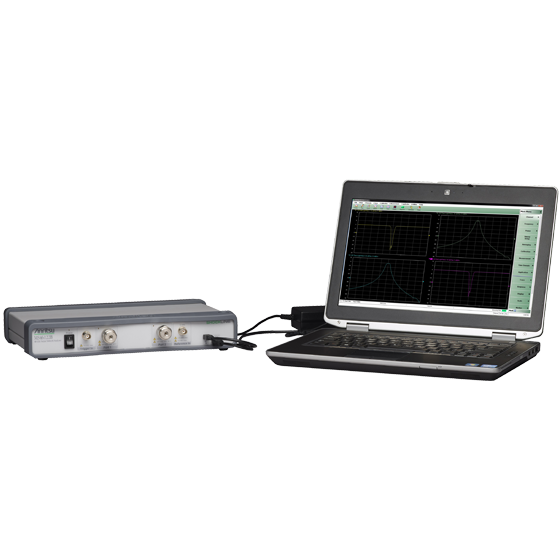 The combination of lower cost, small size, and good performance make the ShockLine MS46122B VNA series ideal for passive device test applications where portability and space efficiency are key.